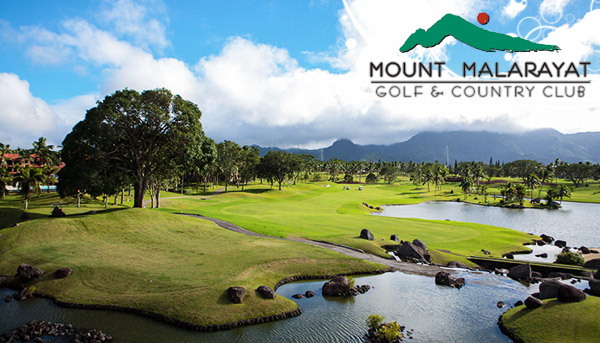 Just a short drive from Metro Manila is one of the country’s most visited tourist destinations and home to the beautiful Mount Malarayat Golf and Country Club. It gladly offers a peaceful getaway outside of the city stress. It was designed in 1998 on the grounds of Lipa 1,200 feet above sea level by the internationally-renowned J. Michael Poellet Design Group. The high quality of this course has earned it several awards and recognitions, one being the Best Course in the Country by Golf Magazine. It has also become the chosen venue of two highly regarded tournaments in the Philippines- the ASEAN Tour and Philippine Open. This expansive course offers three 9-hole courses, making it a 27-hole championship golf course with exciting and challenging holes. Mt. Makulot, Mt. Lobo, and Mt. Malipunyo were fantastically designed among the breathtaking mountain views where the cool highland climate can always be enjoyed. Among the courses, Mt. Makulot stands out as the most notable part of the entire club where the you can play hole no. 7, which has been ranked on Golf Magazine’s list of Top 500 Best Golf Holes in the World. The tight rolling greens of this course are well protected with creatively laid out bunkers. The Sand traps and water hazards keep it fun and challenging for golfers of every level. This astounding course in Lipa City, Batangas is set within 200-plus hectares of lush terrain that promises to be flood-free the whole year round. Mt. Malarayat proudly boasts of their world class facilities to be enjoyed by the entire family including various sports and billiard tables, and even function and meeting rooms for important gatherings. Enjoy a delicious meal at the country club’s golfer’s lounge from 2 restaurants- Sand Trap and Ariring. A jacuzzi, sauna, and even massage area are provided for visitors to ensure their stay is a tranquil and relaxing one. Designed by internationally-renowned J. Michael Poellot Golf Design Group ( JMP). Only a convenient 60-90 minute drive from Manila. Tip for Tourists: You can still play at Mt. 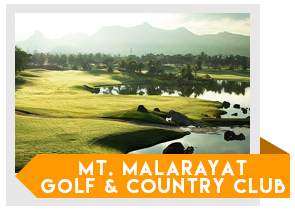 Malarayat Golf and Country Club by booking directly with GolfPackages. Fill out the form to your right and get your free quote today.